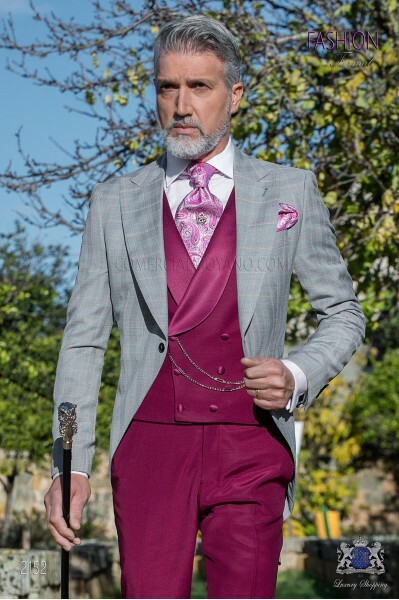 Gray Redingote There are 5 products. 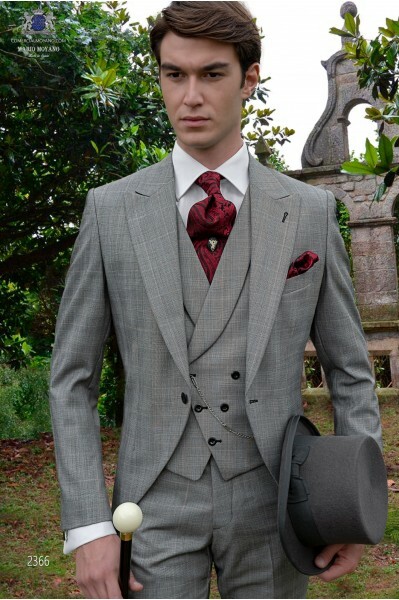 Italian bespoke morning suit light grey and red suit with wide notch lapels, 1 button, Prince of Wales wool mix fabric. 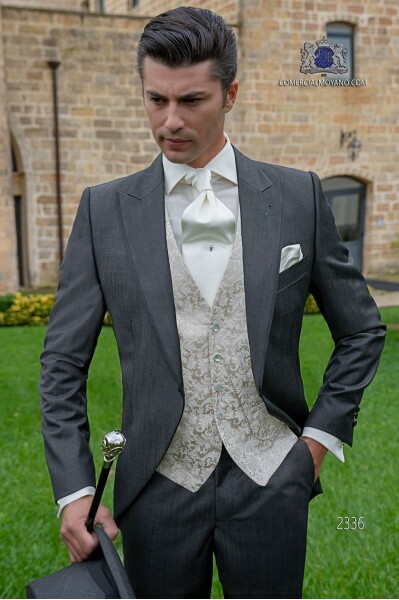 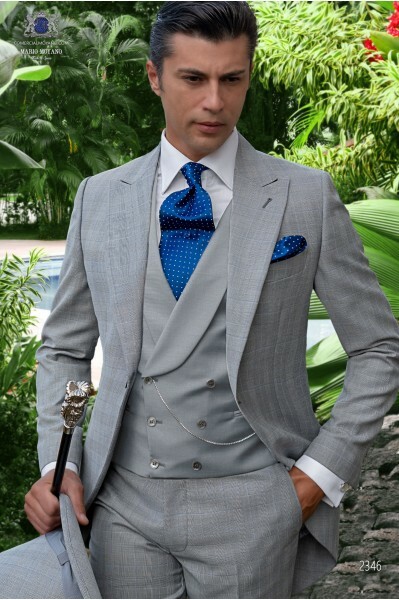 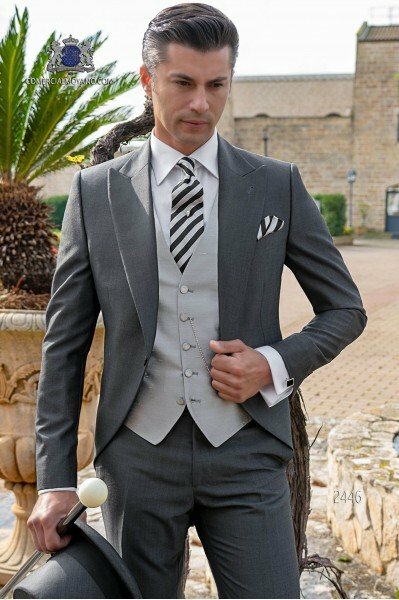 Wedding suit 2152 Gentleman Collection Ottavio Nuccio Gala.